Sale Alert: Nokia Android phones in PH now more affordable! Home / mobile / news / nokia / Sale Alert: Nokia Android phones in PH now more affordable! Aside from the Nokia 8 2017 flagship, HMD Global Philippines also dropped the prices of their lower-end smartphone last year. Nokia Android phones in PH now more affordable! The other Nokia phones on sale are the Nokia 3, Nokia 5, and the Nokia 6. From PHP 6,990, the Nokia 3 is now priced at just PHP 6,490. From PHP 9,990, the Nokia 5 is now priced at PHP 8,990. From PHP 11,990, the Nokia 6 is now priced at PHP 10,990. In case you missed it, the Nokia 8 is originally priced at PHP 29,990. But now, you can get it for as low as PHP 24,990. In addition, those who will get the Nokia 3 and Nokia devices will receive a free JBL Go Bluetooth speaker worth PHP 1,590. For Nokia 8, HMD Global Bundled it with a FREE JBL T450 Bluetooth headphones. 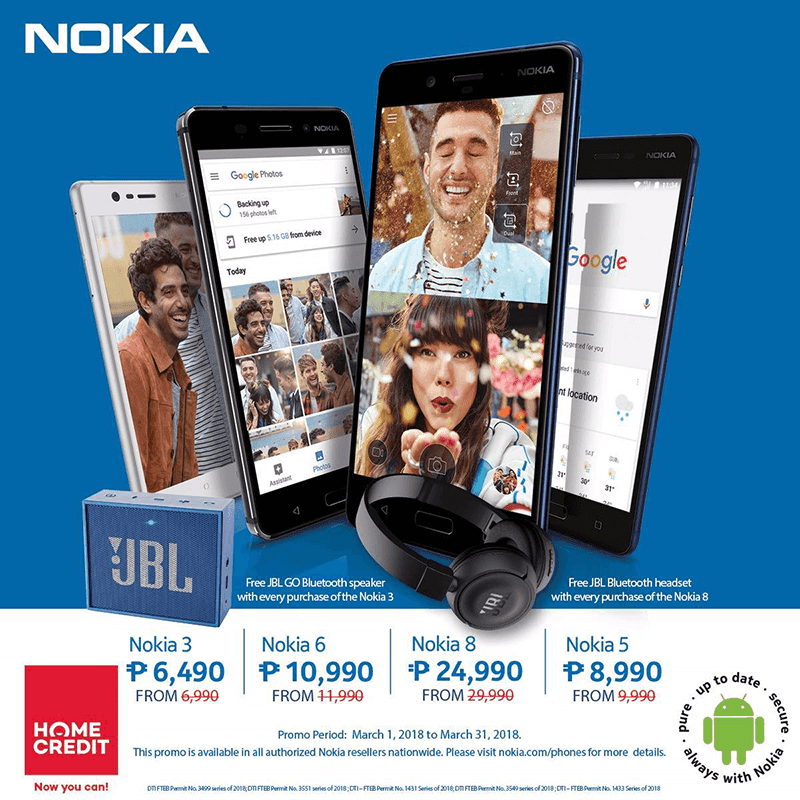 This promo is available at all authorized Nokia resellers nationwide from March 1 to 31, 2018.